Xiaomi is well-known as one of the major smartphone makers, however, the company is always launching innovative products in new categories. It already has the connected security camera, air purifier, vacuum cleaner, and other related devices in its portfolio, but it now wants to enter your loo too. Xiaomi is currently crowdfunding an AI-backed smart toilet seat cover by Tinymu on its crowdfunding platform Youpin. And if you thought this was the first time, well, this is actually the third such toilet seat cover from the company and it’s now packed with the Xiao AI voice assistant from Xiaomi. This is the most advanced version of the smart toilet seat cover until date, so let’s talk a quick peek at its striking features. The integration of Xiao AI in the toilet seat cover has made it capable of being a replacement smart speaker. It can answer all of your queries, set reminders, and play songs too. Also, it is available for controlling not just the functions of the cover, but Xiaomi’s smart home devices littered across your house via your voice from inside the loo as well. Creepy or awesome? We can’t tell. 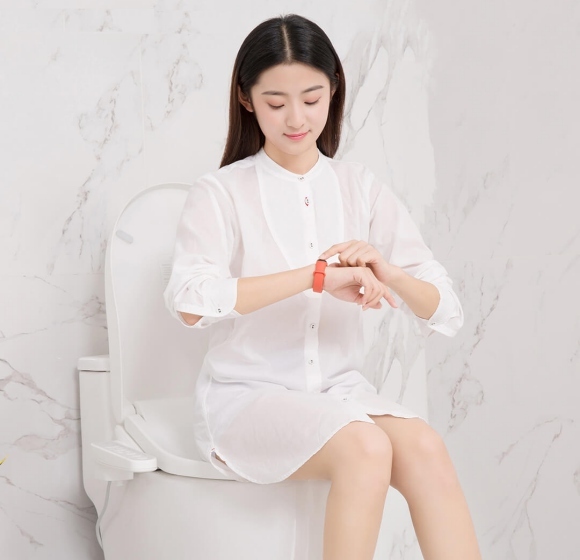 This smart toilet seat cover can also recognize the user who enters the loo using the Mi Band, remembering the personal setting of each user and personalizing the experience (washing position, water temperature, water flow intensity, and more) as per your needs. This eliminates the need to tinker and adjust the setting each time you’re using the toilet seat cover. The seat cover features an ergonomic 3D curved and thermostatic surface, which heats uniformly and uses a low-temperature burn-proof technology. The control on the side of the seat cover has a simplified interface, Braille script, an 11-step nozzle, and even a deodorant fan among other things. It can be controlled via the Mijia app on your phone. It will also voice an alarm if someone’s seated on the cover for over 30 minutes, a feature that can be handy for kids and older folks. 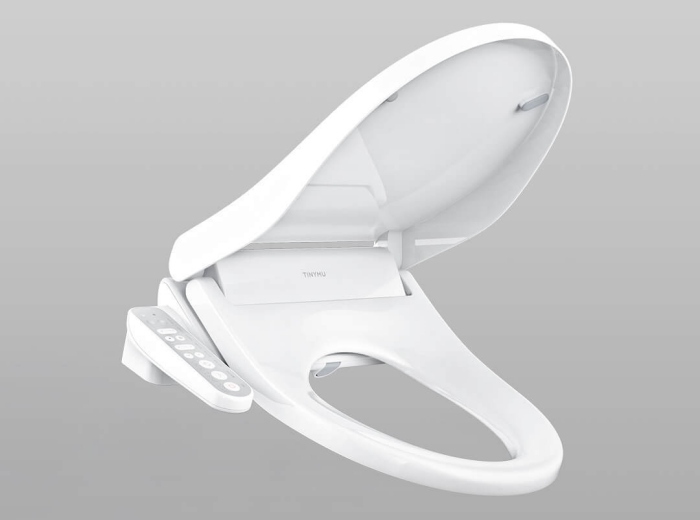 This smart toilet seat cover has been priced at 1299 yuan (approx Rs 13,500) and is said to start shipping on December 26. Well, it seems like Chinese customers are actually interested in talking to an AI assistant while sitting in the loo and the Tinymu smart toilet seat cover has already exceeded its target by 300 percent. 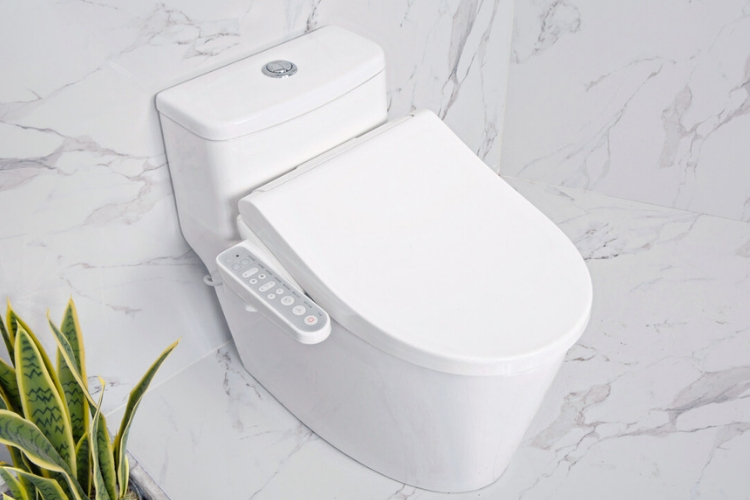 What are your opinions on this AI-backed toilet seat cover? Let us know in the comments below.